Our team needs passionate and devoted people. Are you? Create your own job, with a promising future! These are the roles we think we need right now. But if you don't fit in these profiles and you think that you will add lots of value to Alakkazam, don't hesitate to contact us! Do you like hardware? Servers? Enjoy communications? Latest server trends? 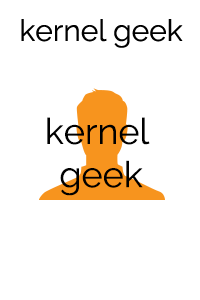 Would you like designing and developing drivers for the Linux Kernel for our own hardware? In the Hocus Pocus Server project, we need hardware passionate people. If you join us, you will be designing, improving and developing the HPS needed hardware. We have an open-minded philosophy, so anyone that fits in this general profile can be a candidate for us. There is no need of degree titles (although it always helps to know your background). We rather like someone passionate, and devoted which has eager to learn, improve and contribute than someone highly qualified that just wants to find a job. Our work philosophy tries to break rules. There's no need to work 30 years to get a decent salary. We believe in people and that all efforts deserve a reward. Invest your time, and you will have a much greater salary than any other enterprise in return, if your effort makes the business grow. In the Hocus Pocus Server project, we need people that love developing in the Kernel of Linux. We need to create drivers for the hardware that we are developing for the HPS. We have an open-minded philosophy, so anyone that fits in this general profile can be a candidate for us. There is no need of degree titles (although it always helps to know your background). We rather like someone passionate, and devoted which has eager to learn, improve and contribute than someone highly qualified that just wants to find a job. Our work philosophy tries to break rules. There's no need to work 30 years to get a decent salary. We believe in people and that all efforts deserve a reward. Invest your time, and you will have a much greater salary than any other enterprise in return, if your effort makes the business grow. Copyright © 2014 Alakkazam, Inc. All rights reserved.